WHEAT PROTEINS – protect the hair surface covering it with a thin protection layer, facilitate brushing hair out. VITAMIN E – protects hair against UV rays, dry air and environment pollution. 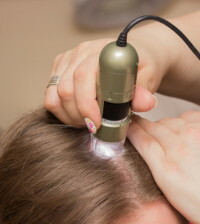 SILICON – fills losses, improves the structure, makes hair glossy and smooth. 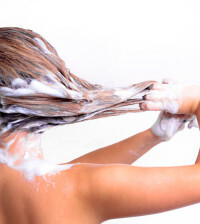 PROTEINS – make hair resilient, protect it against harmful influence of the environment. PANTENOL – reaches the hair’s interior and gives it glare and moisture. SEA ALGAE – regulate functioning of sebaceous glands, improve the scalp’s blood flow. CREATINE – smoothes well damaged spots, encases hair with protective sheath, gives hair glare and resilience. OAT PROTEINS – improve hair’s moisture, protect against UV/UVB radiation, facilitate brushing out and give resilience. GREEN TEA – eliminates free radicals, protects scalp against bacteria. CERAMIDES – penetrate the weakened spots in the hair’s structure, fill the losses, create a flexible protective layer on hair. 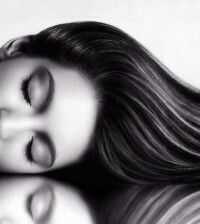 FRUIT EXTRACTS – add gloss to hair and improve its resistance. CALCIUM – smoothes rough surface of a hair, strengthens the roots and makes hair flexible. AVOCADO OIL – smoothes hair’s scales, hair becomes soft and glossy. ALOE VERA – strengthens greasy hair, moisturizes damaged hair.